Pro-infanticide Democrats—and you are pro-infanticide if you refuse to treat a born-alive abortion survivor as you would any other preemie of a similar age—brazenly wrapped their unconscionable actions in the usual tripe. But what else should we have expected? They believe unborn babies are property and remain at the whim of their mother and the abortionist, even if they are no longer within their mother’s body. Looked at another way, “bodily autonomy” has no borders, which is why the trip from abortion to infanticide is as uncontroversial to the Planned Parenthood as crossing state lines. Do you no longer have the right to drive once you leave Maryland and cruise into Virginia? Here are excerpts from yesterday’s remark from four senators. Tomorrow we will repost excerpts from four more. th a baby who’s been born alive, they are looking at a human being with human rights, period. To be frank, Mr. President, it makes me uneasy that such a basic statement seems to be generating actual disagreement. Can the extreme far-left politics surrounding abortion really have come this far? Are we really supposed to think that it’s normal that there are now two sides debating whether a newborn — whether newborn living babies deserve medical attention? … Apart from the entire abortion debate they seem to be suggesting that newborn baby’s right to life may be contingent on the circumstances surrounding their birth. …[M]y colleagues across the aisle need to decide where they’ll take their cues on these moral questions. On the one hand there are a few extreme voices who decided some newborn lives are more disposable than others. On the other side is the entire rest of the country. I would urge my colleagues, let’s listen to the voices of the American people. Let’s reaffirm that — let’s reaffirm that when we say every life is created equal, we actually mean it. Let’s vote to advance the born alive abortion survivor’s protection act later today. I suggest the absence of a quorum. During my time in the Nebraska legislature, we passed the first statewide ban on abortion procedures after 20 weeks. Members from all points of the political spectrum, Republican, Democrat, pro-life, and pro-choice, came together to support that bill. Today we have the opportunity to come together, republicans and democrats, to stand up for the lives of newborn infants in the United States Senate. The Born-Alive Abortion Survivors Protection Act protects the life of children that survive an attempted abortion. Simply put, if a baby survives an abortion, he or she deserves the same medical care as any other child who is born prematurely. Without question, newborns deserve care, attention, and love. This should not be a divisive issue. This is an issue that is fundamental to what it means to be an American citizen and more so, what it means to be a human being. … Like most Nebraskans, I have been deeply disturbed by the actions in Virginia, New York, and the new extremes that have been pushed in the ensuing national debate that it is okay to deny newborn abortion survivors medical care. …These policies and lines of thought fly in the face of our core values, and they have to end. …In 2002, the Born-Alive Infants Protection Act passed the House of Representatives by voice vote. It passed the Senate by unanimous consent, and it was signed into law by President Bush. We have the chance right now to build upon that 2002 consensus that those who survive an abortion are in fact people and clarify that they deserve medical care. Today we can come together to support this sound policy once more. We can clarify in light of the extremism that we’ve seen displayed recently that newborn abortion survivors deserve medical care. Madam President, tonight what we’re going to vote on in the Born-Alive Abortion Survivors Protection Act is a chance to see whether we’re serious when people say around here they want to protect the innocent, they want to speak up for the voiceless, they want to defend the defenseless. Tonight, we’re going to have the opportunity to do exactly that. …But the prospect of what we’re voting on here is actually threatening to one of the most powerful interest groups in America. The abortion industry has taken to attacking this bill wildly over the course of the last two weeks, even though, as we have made clear repeatedly and as the text of this bill makes indisputably clear, this bill has nothing to do with abortion itself, nothing in this bill changes the slightest letter of Roe v. Wade. …, In other words, unlike this legislation, Planned Parenthood and others refuse to draw any line between abortion and infanticide. That’s what their lobbying the last week has shown. That should tell us something about what these groups are really about. … Deep down, each of us knows that every member of our human family ought to be protected and deserves to be cherished and loved, and the love we see every day in the eyes of moms and dads for their newborn babies is an inescapable reminder of that most fundamental truth — love is stronger than power. Mr. President, here this evening as we debate this very important bill, I’m hearing two different strategies, two different discussions about what’s actually on the floor in front of us. You see, my colleagues across the aisle are debating a bill that is not in front of us. They are talking about health care for women, which is abortion. That’s what they are talking about. This bill does not address abortion. It doesn’t address the women’s health care issues. What this bill does is address the health care of a baby that is born alive after a botched abortion. We’re not talking about abortion, folks. We are talking about the life of a child that is born. … Mr. President, in recent weeks we have witnessed the ugly truth about the far-reaching grasp of the abortion industry and its ever increasingly radicalized political agenda. Some politicians have not only defended aborting a child while a woman is in labor but have gone so far as to support the termination of a child after its birth. This assault on human dignity cannot stand. … Although previous laws were passed recognizing infants born alive during abortion proceedings as legal persons, there still exists a critical loophole that prevents abortionists from being held accountable to failing to follow these very laws. This legislation closes the gap and ensures that there are concrete enforcement measures to protect children who survive abortion attempts. We can all agree that any child who is born alive, whether through a natural birth or whether through a botched abortion, is a living person, a person who is worthy of the utmost dignity, compassion, and respect. 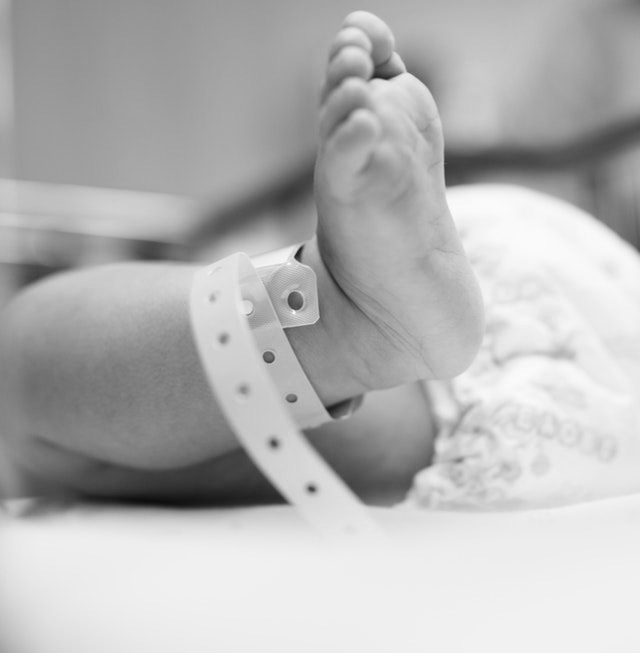 This legislation ensures just that by simply requiring health care practitioners to treat those babies who survive an abortion attempt with the same degree of care any other baby born at the same gestational age would receive. This legislation is not meant to punish women or mothers during and often heart-wrenching and difficult experience. And, in fact, this legislation specifically prohibits mothers from being prosecuted. Instead, this bill quite simply imposes penalties for the intentional killing of a baby who has been born alive. …We, as a nation, can do better. We must protect those babies who are born alive.